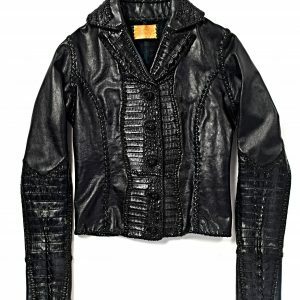 Lost Art Leather Jacket with Alligator Detail. 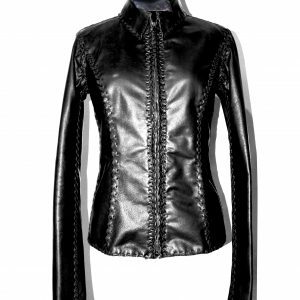 Handmade Black Leather Jacket, hand laced with Leather. Made with the finest genuine Leather and 100% authentic Alligator skin. *Contact for sizing and pricing. 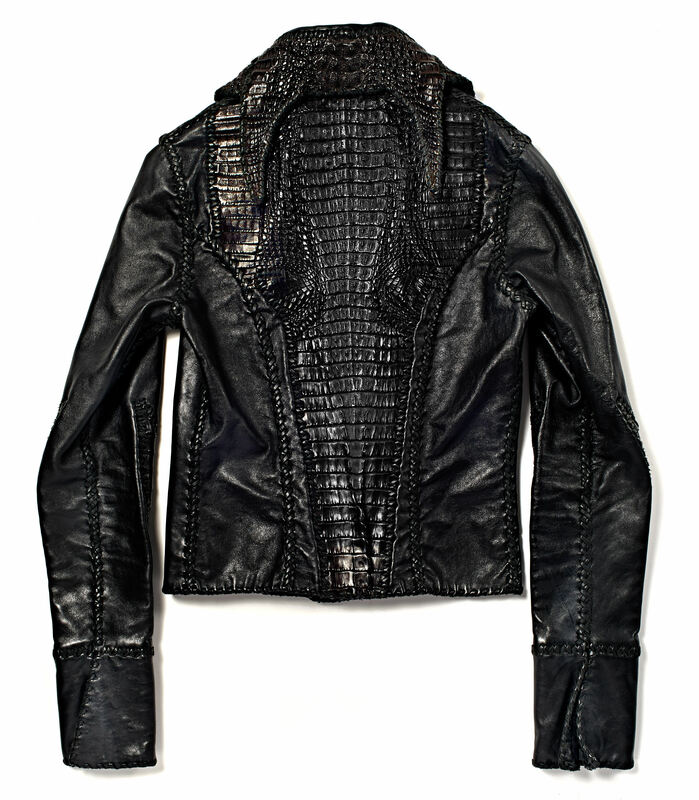 Leather Jacket with Alligator Detail by Lost Art is custom made. 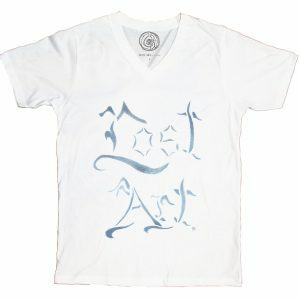 Designed and handmade by Jordan Betten in New York City. Made with 100% genuine leather. Individually sized and fitted for a true fit. Most noteworthy the jacket can be made in Black, Brown or any other desired color. 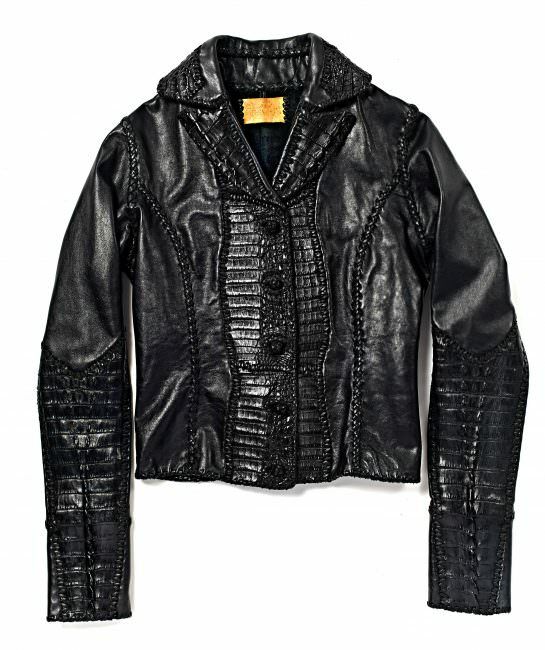 Famed female Models, Supermodels, Musicians and Celebrities have been photographed wearing a similar custom made Lost Art Jacket with Alligator Detail. 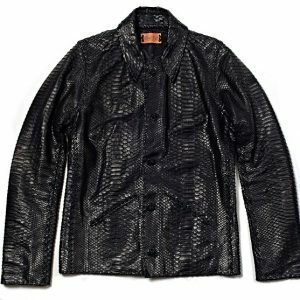 Furthermore, the advent of lost art store, the general public is now able to order the Leather Jacket with Alligator Detail from Lost Art.